In 4-quart saucepan or Dutch oven, heat spaghetti, broth and salt just to boiling over high heat. 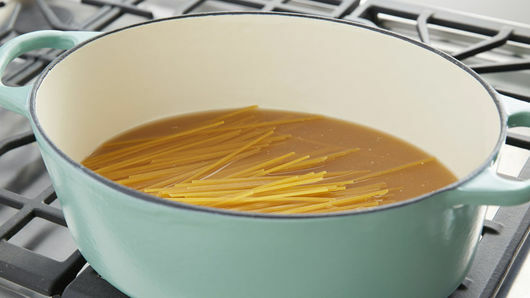 Reduce heat to medium; cook 10 to 15 minutes, stirring frequently, until al dente and liquid is almost completely absorbed. Stir in chicken, cream cheese and shredded cheese; cook 3 to 4 minutes, stirring frequently, until cheese is melted and hot. .
For a less spicy version, substitute garden vegetable or onion-chive cream cheese spread for the jalapeño cream cheese spread. 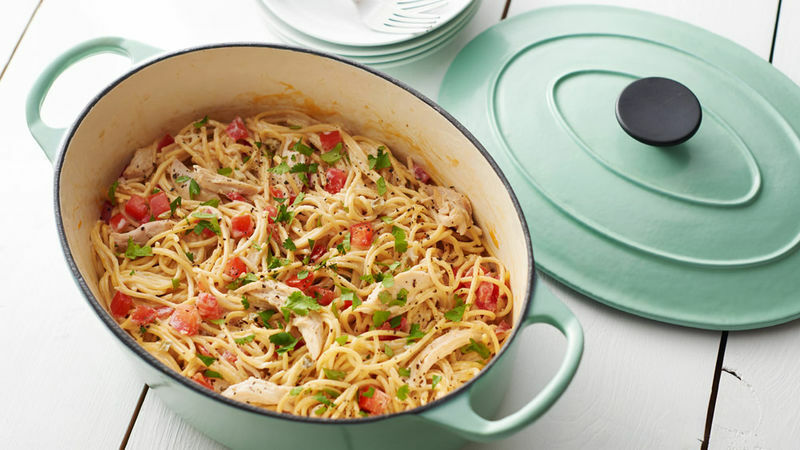 Serve this one-pot meal with a fresh garden salad. We tend to use the word “spaghetti” interchangeably as both the name of a noodle and the name of the traditional Italian dish. Spaghetti means different things to different people and it seems that everyone has their own preference on how to enjoy it; some swear by their recipe for Bolognese and others would never sway from their favorite spaghetti and meatballs dish. 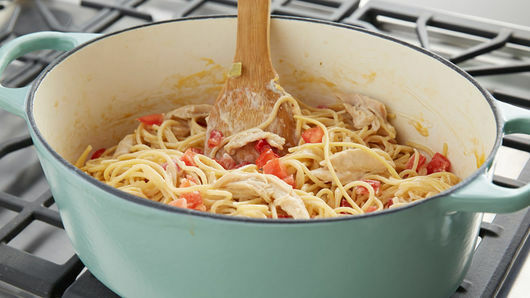 But we wouldn’t feel right unless we offered another twist on the classic recipe: chicken spaghetti. Just because you’re using a spaghetti noodle doesn’t mean that you have to stick with using a red sauce. Chicken and spaghetti can pair well with white sauces like Alfredo or a cream cheese base, and with red sauces—think of how delicious chicken Parmesan is and you’ll get the idea! 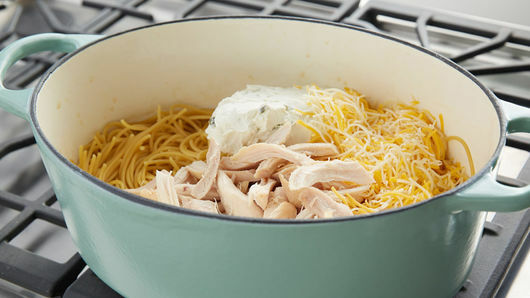 Did you know there are more ways to make spaghetti beyond boiling over the stove? You can make it in your slow cooker or in the oven. We break it all down for you in our easy How to Make Spaghetti article.